3 months' worth of data released today show that while the housing market took a pause in the Fall, activity continues to push higher. The NAHB survey of builders' sentiment continues to be a good leading indicator of housing starts, and suggests that housing starts will continue to work their way higher. One caveat: data can be choppy this time of the year, since seasonal adjustment factors are large. 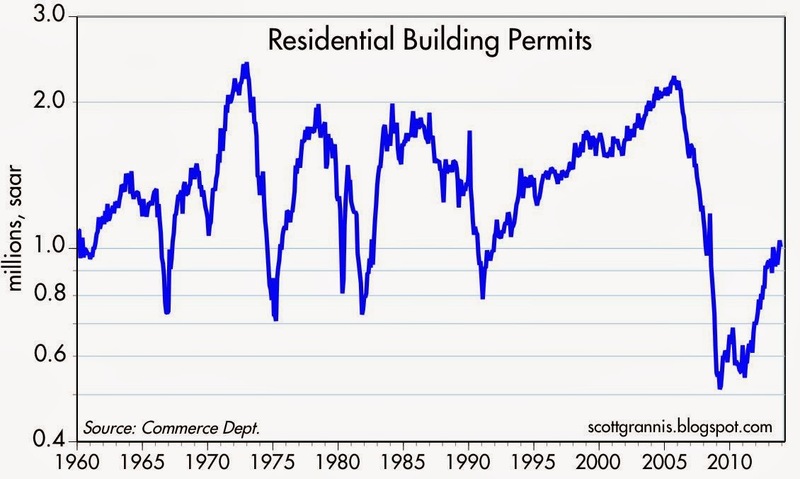 Building permits have been less volatile than starts in recent months, but now appear to have provided good guidance, pointing to a continued rise in starts. 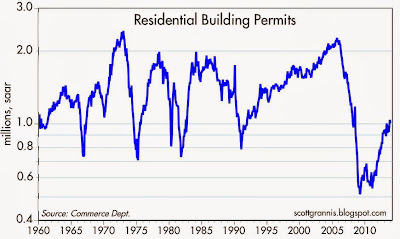 From a long-term perspective, permits and starts have only recovered to levels that in the past were symptomatic of recessions. In my view, that only makes stronger the case for continued improvement in the housing market in the years to come. The huge decline in construction from 2006 through 2009 had the effect of dramatically reducing new home inventory. 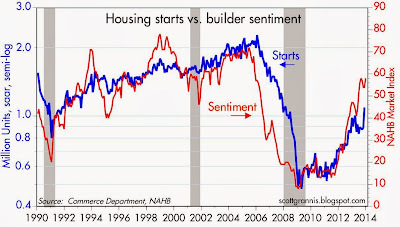 With new home formations continuing, however, the pent-up demand for housing is very likely to provide strong support for future gains in residential construction activity. The housing market is still in early innings. Many would say that housing starts and the housing market in general were slowed down by the jump in mortgage rates that began six months ago. 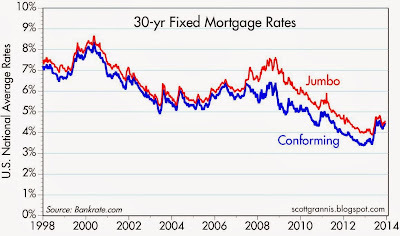 Similarly, it is tempting to say that activity continued to improve despite the rise in mortgage rates. 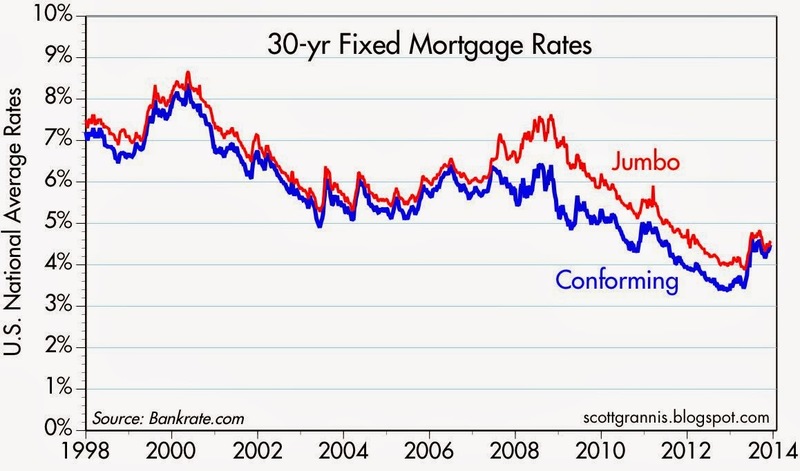 But it is probably more accurate to say that mortgage rates have risen because housing market activity has improved.